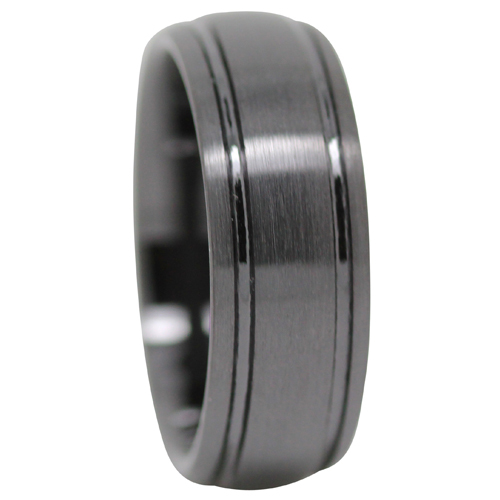 This black zirconia ceramic ring features a brushed finish, with dual polished grooves. We’ve gone for a rounded band with this design, as the brushed black surface of this band is definitely worth highlighting. The polished grooves perfectly accent the brushed surface, and give the ring more character.